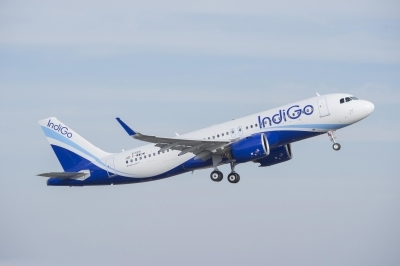 Mumbai, Sep 13 (IANS) InterGlobe Aviation which operates budget passenger carrier IndiGo on Wednesday said it will issue shares to “qualified institutional buyers” on September 15, Friday, in a price band of Rs 1,125 to Rs 1,175 per equity share. According to a BSE filing, the company said the decision was taken by its “Securities Committee of the Board of Directors” on Wednesday. The company’s scrip price at the BSE closed at Rs 1,196.70, down Rs 6.85, or 0.57 per cent, from its previous close of Rs 1,203.55.